Five Minute Profit Sites claim to help you start making $519/day in just less than 5 minutes and 17 clicks! Why $519 such an exact number? I don't know. But all I can tell you is that this is highly suspicious. And I can guarantee you that this is just a made up claim to lure innocent newbies into their sales funnel. Fortunately, you've landed on my Five Minute Profit Sites review here. 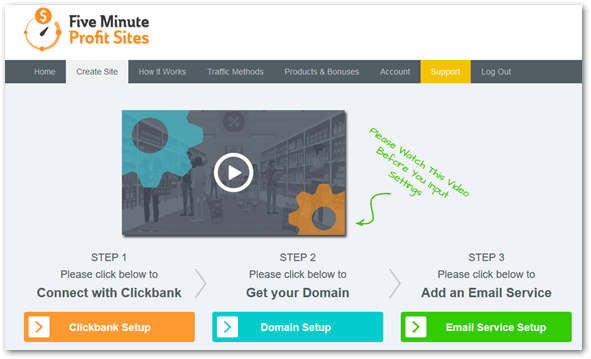 Five Minute Profit Site claims themselves to be a "proprietary software" to help you create "high converting websites" and make lots of money on autopilot. You're not going to be building your own website. You're just given a pre-made landing page. The only job you need to do is to drive traffic to that landing page for people to enter their sales funnel. This sales funnel created by the unknown owner works using the Affiliate Marketing business model. When someone purchases any products through your link, you get paid. But there's a TON of flaws in this sales funnel which I'll be revealing to you in a second. What you see in the screenshot above is the 3 main steps you need to do once you enter their member's area. Choose a domain name as "your website"
Start driving traffic to your "website"
These are the steps that you're expected to take in order to make money with FMPS. But the problem is that this is NOT the right way to do and profit from Affiliate Marketing! I've reviewed hundreds of products online. The name of this product, "Five Minute Profit Sites", kind of says it all. They are just repeatedly using the exact same techniques again and again to scam innocent people's money. Let me show you the proofs! 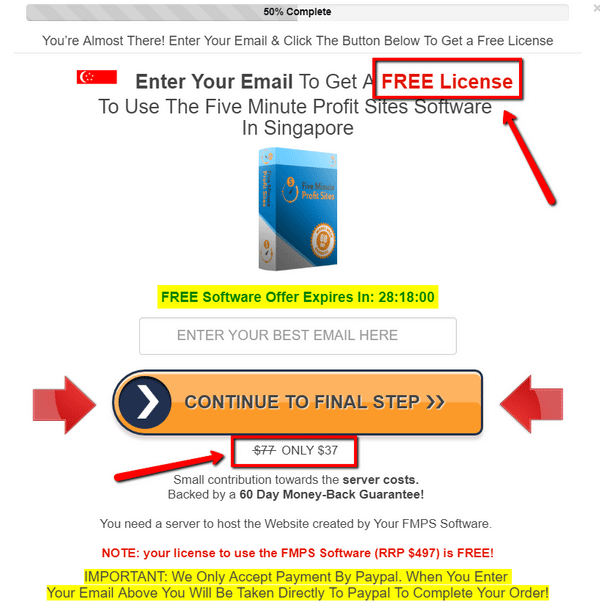 Just like any other scam products on ClickBank, the real owner & creator of FMPS is unknown. In their sales video, they simply hire a narrator and use a fictitious name, Sam Smith, so that their real identity won't be exposed to affect their reputation. This strategy is really common. Throughout their sales pitch, the narrator keep mentioning that you can get their proprietary software for FREE. All you need to do is to enter your Email. It claims to be FREE in the headline. But look below the button, it says "ONLY $37". Isn't that contradicting right away? $37 is NOT the end. $37 is just the front-end "bait" to lure you into their sales funnel. To be honest, these upsells are just as crap as their front-end product. They're just there for the sake to make more money for the owner! Remember I mentioned that you're required to sign up for AWeber? That's an Email autoresponder which costs $19/month. The problem is that...if you don't sign up for AWeber, you can't proceed with FMPS! So, isn't that a hidden cost? Yes, there are some video tutorials teaching you how to get traffic inside the member's area. But the problem is that they're really basic and most of the techniques don't work anymore! To be honest, I would say the only effective traffic generation among the list is Solo Ads. But the problem of Solo Ads is that it can be pretty expensive. Strategies like forum marketing, article marketing (submitting articles to Ezine, article directories), press release are outdated. They used to work in the past but not today anymore. The worst method is blog commenting. It's basically spamming other people's website which is totally useless! The main problem with FMPS is that their "websites" are impossible to be ranked in Google and get free targeted traffic from Google via Search Engine Optimization (SEO). Without traffic, you have literally no business at all! The so-called "website" they offer you in FMPS are NOT YOURS. They are just domains or sub-domains owned by the mysterious owner. Because if you really want to OWN your website, you have to purchase the domain name yourself from hosting companies like GoDaddy or HostGator. Without purchasing your own domain, you have no control over the website because it's simply not yours. If Five Minute Profit Sites shut down one day (which I highly suspect it will), that website given to you will also be gone. So, how are you going to get back up when FMPS is down? The answer is that you need to learn how to set up YOUR OWN website in the first place. 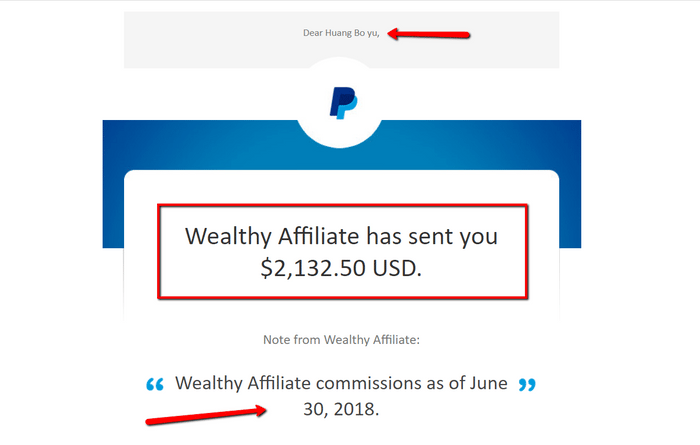 If that's what you're looking for, I highly recommend you to check out Wealthy Affiliate. That's the platform where I learnt how to really set up my own website right here and earning me 4-figure passive income per month as a 21 years old College dropout! I'm really really disappointed on ClickBank. Currently, ClickBank is just a platform selling lots of junk or even scam products. Few years back, they've announced to improve on their reviewing procedure of products being sold on their platform. Not only that, they've created their own ClickBank University to help people make money from ClickBank. But seriously, ClickBank is dead! It's full of junk products. So what does this have to do with Five Minute Profit Sites? The websites they're giving you are all in the "Make Money Online" niche. And if you go and study the sales funnel, you'll realize that they're just trying to promote other ClickBank products on the websites they provide you. The AZ Code is one of the example. Probably they're all created by the same mysterious owner. If not, they're just trying to cross promote different CB products. Some time ago, I've reviewed another ClickBank product called "Profit With Alex". Five Minute Profit Sites is on the left while Profit With Alex is on the right. I don't believe that they're not created by the same person. Look at how similar these designs are! They're not sold out. They're just being shut down. And now they're creating this new product called FMPS and start scamming people's money again. After a while, FMPS will also go down and they'll come up with yet another product. This cycle will just go on and on and on. The Good Thing About Five Minute Profit Sites? The ONLY benefit of Five Minute Profit Sites and many other ClickBank products is that there's a 60-day refund period. At least you still can get your money back. Just that sometimes the refund procedure can be quite troublesome with CB. In my opinion, YES it is a scam because all the claims are untrue. Some people may not consider it as a scam as at least you're stilling getting something for your money. You were told it is Free in the beginning, but in the end you're not just going to pay $37. But there are more upsells and hidden fees waiting for you. How would you feel? Cheated? Not only that, you were told you'll get your own website which can make up to $519/day. But in the end it didn't happen. Eventually, you found out that the website is not even yours. It will be gone if FMPS shuts down. My advice to you is just stay far far away from this product and any other ClickBank products. Who's Really Making Money with Five Minute Profit Sites? Remember this screenshot I shown you earlier on? This is a screenshot of their entire sales funnel taken from their Affiliates page! 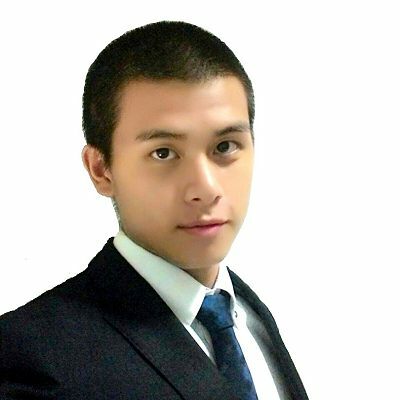 Affiliate Marketers promoting this product is the group of people that's also making money. You see the title? 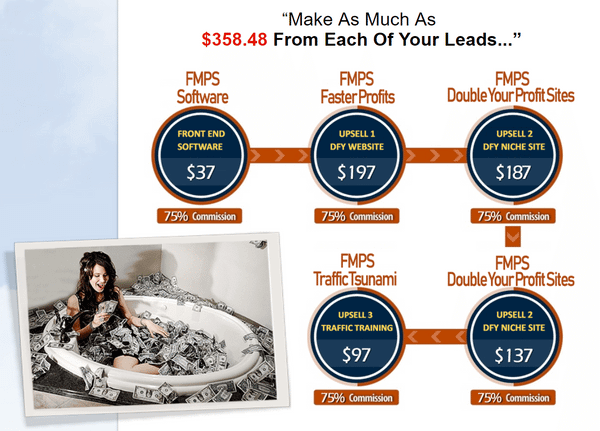 "Make as much as $358.48 from each of your leads..."
This sales funnel is intended to help the owner and the affiliates to make money. They're not really helping those innocent people who simply wants to make money online. So, please stay away from Five Minute Profit Sites and all the other ClickBank products. Of course, I wouldn't recommend you to go and promote those scam products just to make money for yourself. There are legitimate programs out there that you can follow and promote to generate a passive income. And my top recommended program is called Wealthy Affiliate. No credit card information is needed! A real nuts and bolts review. Very Good I will promote you whenever and wherever I can.